Are you looking for places to visit in Mandsaur? A relatively little-known city in the state of Madhya Pradesh, Mandsaur is slowly and steadily becoming a sought after tourist destination.Famous mostly for its shrines and archaeological heritage. You must have heard Mandsaur only when Pashupatinath Temple is being discussed. Read this article about Mandsaur tourism and attractions. Bandi ji ka Baag famous places to visit in Mandsaur decorated with glass interiors, the temple is 120 years old and is dedicated to Jainism. You should definitely visit the place to see the colourful reflection lights adorning the walls inside . The USP of the place is it's Maan Stambh which was built when the temple turned a 100 years old. This temple is another places to visit in Mandsaur. Dedicated to Lord Hanuman, it is a very old temple with interiors decorated with stones. The place is situated near Gandhi Chauraha and it is a worth your every second spend here. Don't miss the yearly Maha Aarti and Annakut Prasad organised by Yuvak group during the Diwali season. 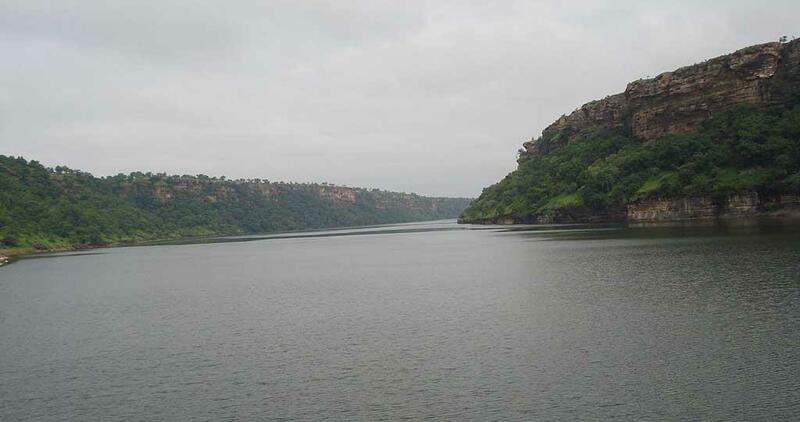 Another places to visit in Mandsaur is Gandhi Sagar. SanctuarySituated on the boundary of Mandsaur and Nimach districts of Madhya Pradesh, the sanctuary is spread over an area of 369 km square adjoining Rajasthan state in India. The beauty of the sanctuary lies in the fact that the sanctuary is divided into two parts by the Chambal river, as a result, the western part lying in the Nimach District and the eastern part of Mandsaur district. renowned as the Dashpur Fort, the fort is located on the order of Malwa and Mewar and hence is a historically important fort. The fort was destroyed after it was attacked by Timur after which the Delhi Sultanate became very weak. During that time, Dilawar Khan Gauri was the governor of Malwa province which makes the fort even more significant in the pages of history. Located on the Shivana River banks, the famous Hindu temple is one of the most prevalent shrines in Mandsaur. Lord Shiva is the main deity here and he is worshipped in the form of a unique shivling which has eight faces of Lord Shiva. As common in Hindu architecture, the temple has four doors in four directions. This is another famous places to visit in Mandsaur. The main source of supply for the residents, the destination is also a famous attraction amongst the tourists. A popular hangout place for the family, friends and relatives Telia Talab also has a park and a Hindu shrine nearby. People of all religions and castes come here to spend their evenings making it a buzzing cultural hub in the evenings. Situated just 12km away from Mandsaur, the place was built after it was blessed by the Acharya Shri Kalyan Sagar ji Maharaj and is also known as a "Chaupati" in short. Here you will see a 58 cm high black coloured idol of Lord Parshwanath in the padmasana posture known as Mulnayak. With so many places to visit in Mandsaur just book your tickets on the Indore to Mandsaur train and get ready to have a close encounter with history and spirituality. You can always check your PNR status online if you couldn't get a confirmed seat.